Dr. A.P.J. Abdul Kalam Technical University (previously known as UPTU) has announced UPSEE 2017 counselling dates for all course include B.Tech, MBA which will start from 19th June till 3rd August 2017. Total 5 round of counselling will be organised to fill engineering and management seats in top private and government colleges affiliated to AKTU . Previously university said "No admission without SSE" but later this point gets rejected as maximum college fill more than 50% seats through direct admission without SSE, but now student need more than 60% marks in 12th class board exam to take direct admission. 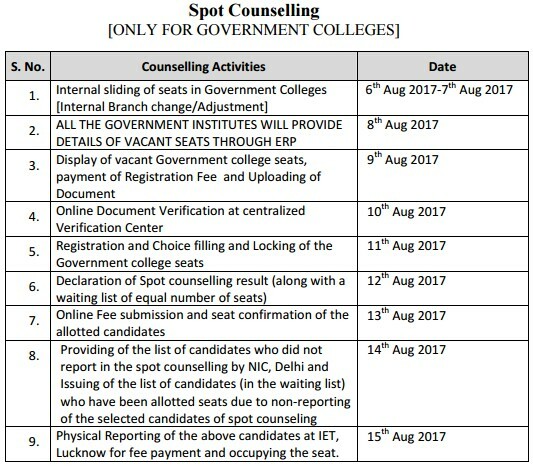 This year special counselling will be organised to fill Dr. APJ AKTU Government Colleges Seats from 6 to 15 August 2017. 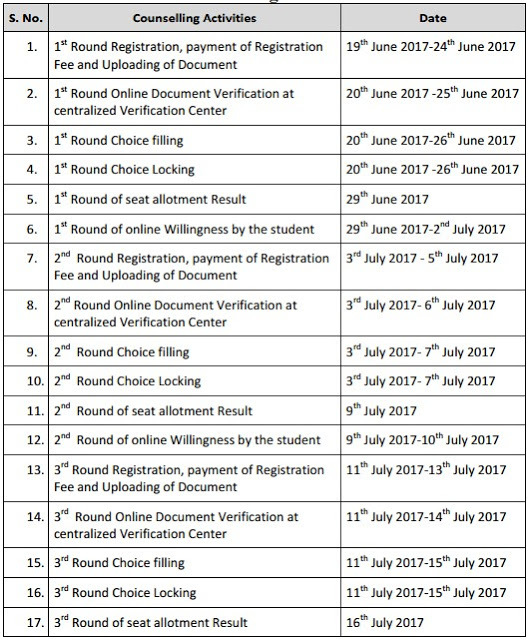 Rank holders of UPSEE-2016 are required to bring all the original documents along with two photocopies of each at the designated verification centers to verify your Document for UPSEE Counselling 2017. On completion of verification, contenders will obtain PIN / OTP (One Time Password) for filling choices through SMS on his / her on registered Mobile Number UPSEE Counselling 2017. The OTP numbers is necessary for next step of counseling, so applicants must ensure that he/she received One Time Password. Choice filling signifies that aspirants give choices for courses as well as for institutes in order of their preference from one to a large number. Candidates must have to know that after last date, no amendment is possible in order of choices, thus care must be taken while arranging options. Allotment of seats would be done based on ranks of contenders, those having higher ranks will be deemed first for allowance of seats as per their choices. When process of Choice filling is over and choices are locked by candidates, seats are allotted based on seat preference and merit position/ rank of candidates UPSEE Counselling 2017. Contender who is successful in receiving a seat, are need to confirm his/her allotted seat by depositing required confirmation fee within particular period. If a candidate, who is allotted a seat, do not deposit fee within particular period, his/her allotment of seat is automatically cancelled. 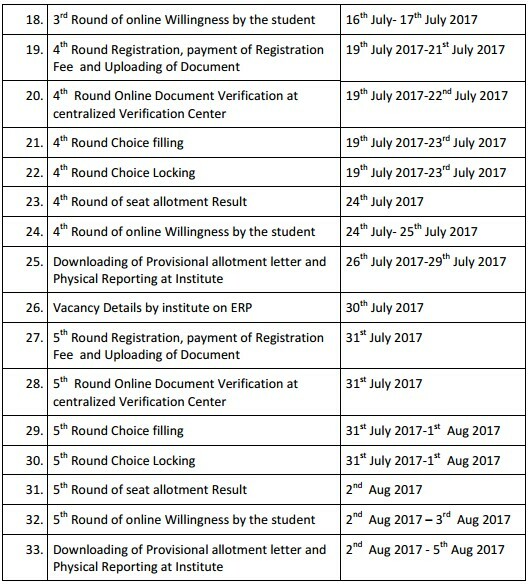 Here you can get list of all document to verified from UPSEE Verification centers. Verification process will starts shortly www.upsee.nic.in Counselling 2017.